Can we talk about homework for a minute? When I taught third grade, I had a routine that I loved. Reading logs went home on Monday, were due the next Monday. Spelling Contracts were sent home on Monday and were turned in a Fridays. Math Fact Contracts went home on Tuesday and were due the next Tuesday. I sprinkled math concept homework when needed and it worked. When I changed grade levels/schools, I had to say goodbye to my homework routine. It was a sad, sad day. My grade level had been doing nightly homework for years and wanted me to do the same. It had a little bit of reading and a little bit of math and it was just and I was never a big, big fan. I liked the fact we split up the homework load, and that I was only responsible for making our weekly homework every few weeks. However, I got a lot of feedback from the kids and their families that it was a bit boring. After reviewing the data from our fact fluency assessments, and seeing so many of my students below benchmark. I knew we needed a change. So change it up I did. I'm still playing around with my the routine, but I've cut back on having my kids read our weekly story three times a week. They literally groaned on our second day of studying the story in class because they had read it so many times. I'm planning to cutesy it up for you all and offer it as a download for ya'll. It's a word document and it's a bear to change if I want to swap out some activities. I made this before my obsession with Powerpoint. Powerpoint, I love you. :) My kids do two addition activities a week and two subtraction activities. I'm still working on the math activities they do in addition to this, because I do feel that concept practice is important but I think doing something every night in addition to their fact contract is a bit excessive. 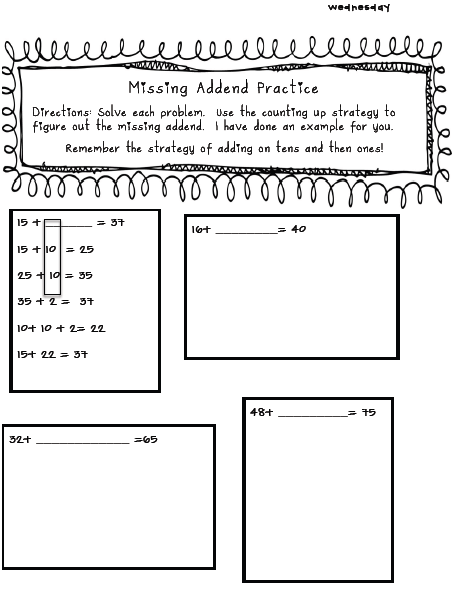 Most of the time, I'll have the kids complete a workbook page from our math program but I do know they will be doing this at one point this week to practice missing addends. Since my kids haven't been studying their spelling words like they should, I'm sprinkling these two activities throughout the week as well. 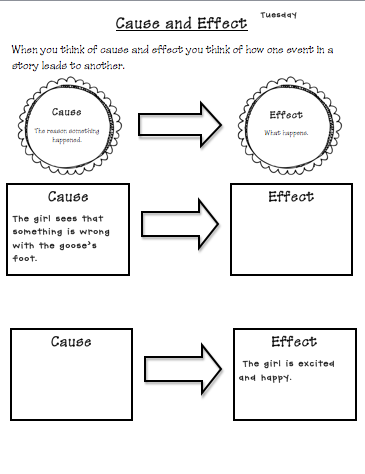 On the night they do read our weekly story, I plan on having the kids do more of a graphic organizer activity. This is what we'll be doing this week. What are your thoughts on homework? How does homework look like in your room? I love for ya'll to share/link up your homework routines. It sure is hard to please everyone, huh?! I've had that same problem this year. I'm a second year teacher and last year I had a split, so I am finally (just now) feeling organized myself! I send home a weekly packet - out Monday, due back Friday. 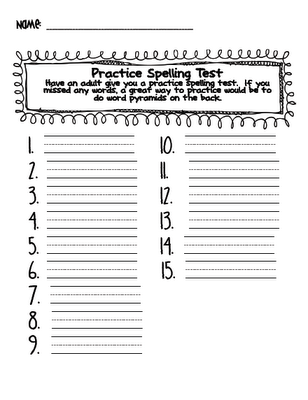 Included in my packet is a reading log, spelling practice (handwriting, word boxes, syllables and ABC order), a couple reading pages - a story with before and after activities usually, sometimes I slip in some grammar pages -, and a few math practice pages. I'm not a big fan of the Math Homelinks provided by the curriculum so I typically create my own! Thanks for sharing, I guess I should have just linked up instead of writing such a *HUGE* comment! No worries, Amanda! I really appreciated your comment. :) It gave me some really good ideas! I teach 2nd grade as well and we send home monthly homework calendars. You can check them out at my class webpage. 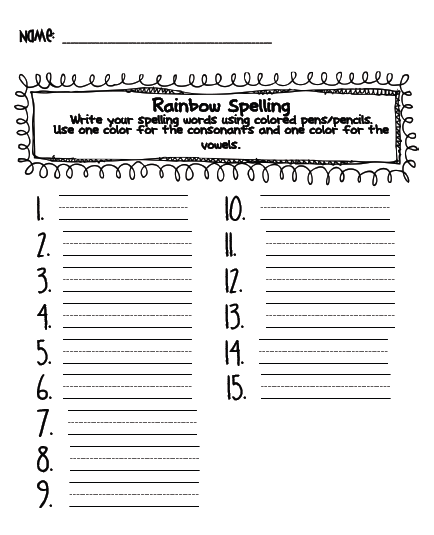 The students each have a homework journal to complete any assignment that there is not a worksheet for. We take turns creating the HW calendar. when I came from 3rd down to 2nd, I had to change up my hw thinking too! I give them their spelling each monday, and they have things they have to do m-w and it's due Thursday...and then they get math hw throughout the week to match what I've been teaching. i don't give it for the week because a lot of times I have change what I teach to match if they REALLY got it..or if they REALLY did NOT get it! lol...our math curriculum is not the best, so I usually find something else or make my own! and they have to read each night for at least 15/20 minutes too! hmm....guess I'll do a post about this (when I get back to school in a few weeks) since I jsut did a "book 0f a comment" ha!! Right now, I do nightly homework. It includes one page of math (whatever lesson we worked on that day in class) and one reading strategy pages (for two weeks it will compare/contrast). Students are also required to read for 20 minutes each night. I haven't gotten any complaints, so that's what I've kept on doing.... 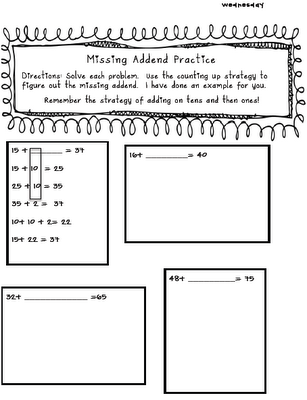 I LOBE your idea of giving the kids a "menu" of math activities. I think I will try that out! I also like the idea of weekly homework because checking off and keeping track of homework and assignments is one of my least favorite things to do!!! I do nightly homework with two exceptions. 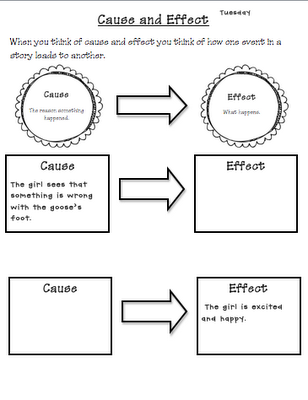 I send home a reading comprehension story that goes along with our MAP focus for the week. It goes home on Monday and is due by Thursday but students can turn it in early if they want to. 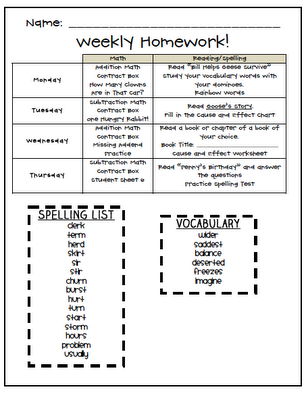 I assign a spelling contract on Monday that is due on Friday. 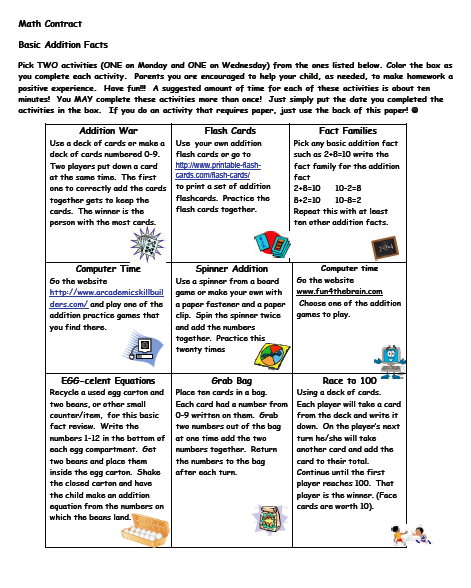 Math is kind of limited because we have to send home the Everyday Math home links and reading is based on what the students are reading in their guided reading group. I check homework each morning but our school is standards based so we don't have to worry about grades :) I hope that helps! Hey Lisa--homework is always a tough call! It sounds like you're figuring it out, though! We found a solution I'm loving (other than checking 30 of them!!! ), which is weekly BINDERS! The kids have a binder with 5 tabs and a plastic envelope in the back for reading books. We send it home Monday, they bring it back Friday. It's wonderful! My teamies and I got together and we have 3 word lists. 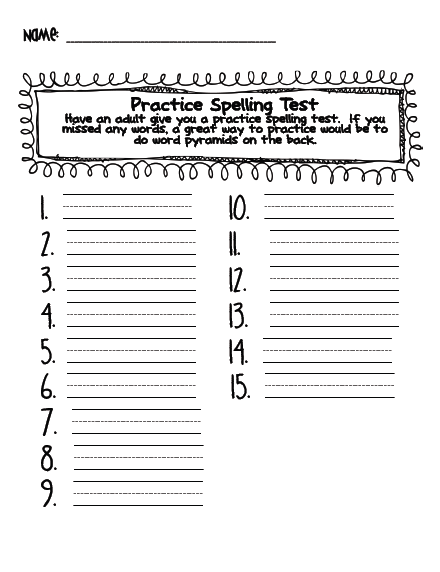 Each has a list of 10 words (high group has 15) focusing on just one spelling strategy each week, and then they have one "challenge" word. There's a list of activities for them to do each night, and they complete it in a notebook. 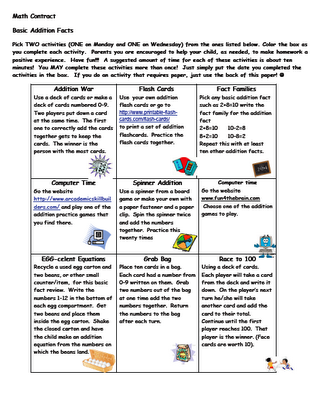 For math, we send a practice worksheet each week, based on what we're doing in class. In reading, we have a reading log and the kids take 2 books home each week (we're lucky to have a book room at our school with leveled books) and also read their own books from home. Then for science and social studies, we send study guides as needed!! Thanks for this post!! I actually just asked the same question :). I love your site. Great resources. 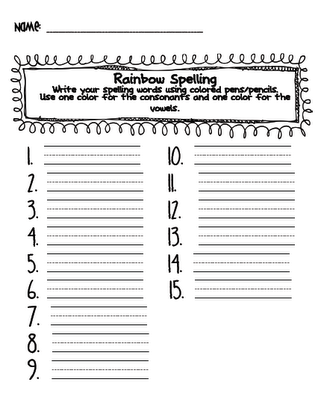 I am about to start my 3rd grade homework packet and am super excited to have your ideas to help! The existing updates in the application make it much more Test DPC APK afterwards equip facility from unknown sources. The company sponsored accounts such as pension, health insurance. Fidelity Log in If you make use of different computers to login you have to save your customer names Separately on each computer are various to stay clear of complication.